Hear from Subject Matter Experts and learn from the best! 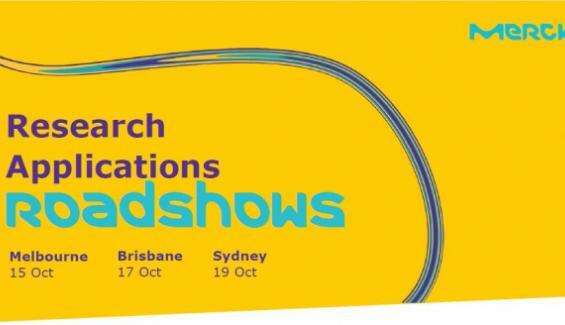 Merck is excited to bring you the first-ever Australian roadshows where Subject Matter Experts come together in Australia to share their experiences with you. Take advantage of this rare opportunity to learn from them and accelerate your research knowledge by attending their sessions. Walk away having gained tools and resources that will empower you to take your research to the next step. Seats are limited, Don't miss out, register now! Feel free to pick and choose what sessions you want to be part of – come to one, or come to all – whatever best suits your needs!